HTC has done it again, coming up with a cute new phone to add to their growing collection. Fortte is not far behind with new cases for the latest phones. We now have 4 new models for the new Aria by HTC. The picture below shows our Open Face. This design allows to put in your Aria and forget about it. It never has to leave the case. You have full screen visibility as well as access to all side ports. You can use the camera as well as charging your unit without it every coming out of the case. This is a great case for a great phone. 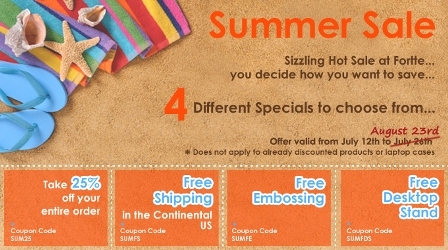 Visit our website at www.fortte.com for more details and a mini-review will be coming soon. 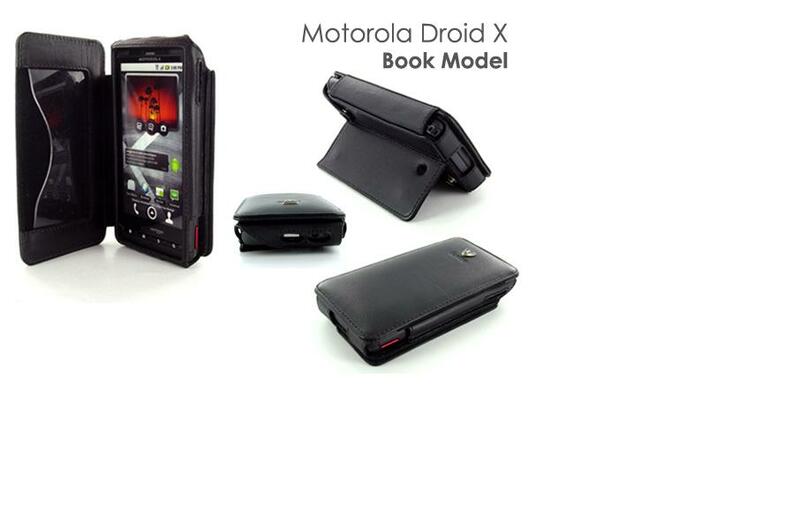 This is a great case for you Motorola DroidX. I personally love the look of this case but what I really like is the kickstand. I must admit that I think the way they designed this is just brilliant. The kickstand is so out of the way and inconspicuous that it really is surprising. They also came up with a new type of closure as well for the Book Model, normally it has a strap that clasps in front, but this time they went with a magnetic closure. I just saw a case for one of our good customers, it was made in British Tan and it looked amazing…. We now have various models for the new Samsung Galaxy S. The picture on the bottom shows our Dual Design model for this Android. This amazing case has everything you need. It comes in Black with the Low Profile Ratchet Clip but as usual you can choose another color or clip if wanted. We are also offering the Lateral Pouch, Vertical Pouch and Open Face…..We should have the Samsung Captivate available in the next couple of weeks or so…Check out our Youtube videos for this phone in the next few days. The cases for the new Motorola X are finally here. We have most of the reviews up on YouTube and will have more in the next couple of days. I think that this phone case has been the most sought after in the last 2 years….it seems like everyone is after a case for this model. Since this phone has an unusual design, making the case for it was a little hard for our case designer. We are not offering the Dual Design due to this but have a great Flip Style available and are developing a great model that will be available in a few days that is really going to be spectacular…. We finally got around to doing a little mini-review of another laptop briefecase, the Venice. This case is a beautiful way to to carry around your laptop computer as well as other items that you might need in the day to day. We offer this case in Black and Brown but can always make it in any of our 30 different colors. Here is a picture of the Venice in Distressed Brown. Take a look at our mini review that we have on Youtube, as you can see this is an amazing case for your laptop. We have the latest cases for the new Motorola Droid X. For the time being we are offering 4 different styles which are the Flip, Open Face, Lateral and Vertical.